Hotel Arion Airport, Vienna. Arion Airport Hotel Vienna. 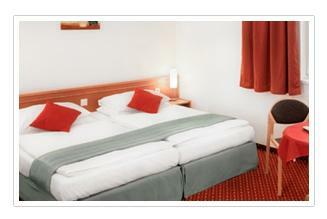 Come to spend a relaxing and charming stay at the Arion Vienna Airport Hotel. Our 3-star hotel offers all the comfort and services that you need and is perfect both for leisure or business travel. The structure has a strategic situation: it is far just 5 km from the Vienna Airport and 10 km from Vienna city centre. The comfortable accommodations of our hotel are all furnished with private shower and WC. Moreover, the hotel places at its guests' disposal further amenities and services, including: 24 hours Shuttle Service from and to the Airport, check in service 24 hours a day as well as express check out and free parking for the guests of the hotel. In addition, the Arion boasts a meeting room, perfect for those who have to organise business meetings. Moreover, the hotel is provided with a bar, where you can sip good drinks or taste delicious snacks, a Bistro and a lovely Wine bar; we are sure to satisfy every kind of guest. For your breakfast the hotel offer you a delicious buffet, served from 5.00 am to 10.00 am. The hotel parking is free of charge upon availability. In case that the parking is fully booked, the hotel is not able to guarantee a parking possibility (however, there are some parking spaces around the hotel).